Take 2 capsules once a day with a meal. 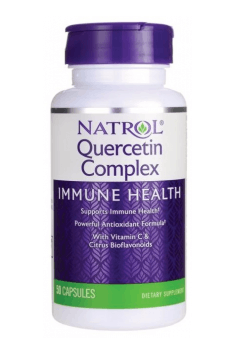 Typical supplementation dose of quercetin per day is 1000 mg, therefore, according to the manufacturer recommendation users should take 2 capsules once a day, with a meal. According to some sources, the absorption of quercetin increases when combined with glucose, so it is worth taking it with a meal, which contains some natural source of sugar (e.g. some fruit).